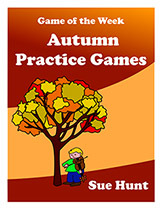 Music in Practice is happy to present the Game of the Week, 4 downloadable ebook collections of Seasonal Practice Games. The game of the week is for parents who know about the link between daily practice and progress. They come in 4 downloadable seasonal collections. 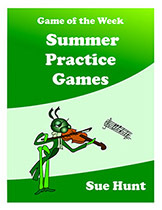 Each has been created specially for encouraging happy and constructive practice during that part of the year. 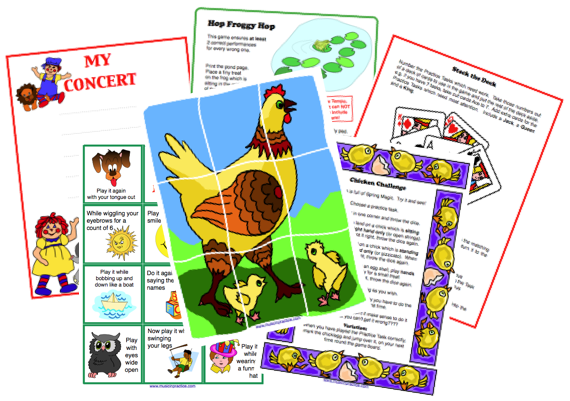 Each collection comes with useful practice tips to help you to make practice more positive, peaceful and productive for you and your children. The collections are all ready for you to download and use. 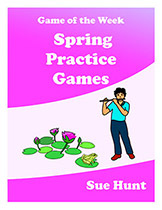 Buy the Complete Collection of Seasonal Practice Games. You only pay for 3 and the 4th comes completely free. 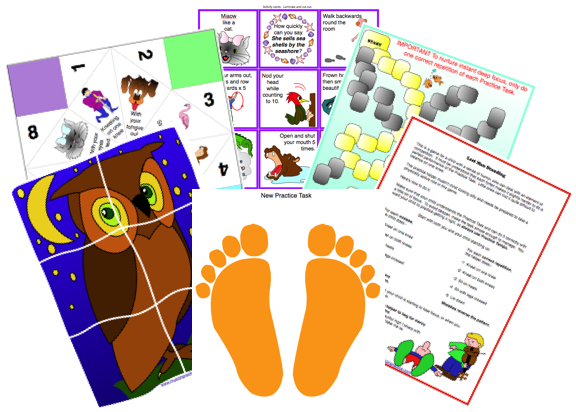 The four collections contain: ✔ Games for encouraging correct repetitions ✔ Games for giving you insight into the way you are helping ✔ Games of chance and challenge ✔ Games to stack the deck in favour of effective practice ✔ Practice puzzles ✔ Games for self monitoring and self motivation ✔ Dice games ✔ How to create your own practice tools ✔ Games to encourage the right kind of praise ✔ Practice charts ✔ Games for teaching instant deep focus ✔ Games to reenergise the brain ✔ How to make your child a winner every time. 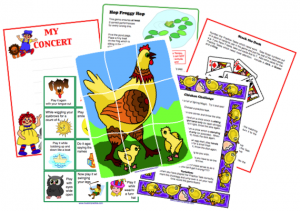 The great thing about Music in Practice games, is that your children won’t realise how hard they are working. $9.99. This works out at 77 cents a week! $9.99. Only 77 cents a week! 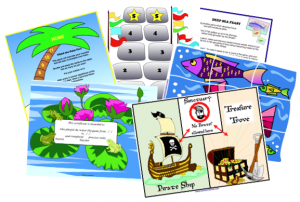 Deep Sea Feast – don’t get eaten by the killer whale! All Star Baseball – how many home runs can you score? Goal Scoring – how good is your aim? 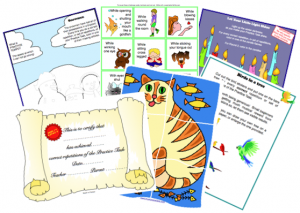 Crossing the Pond – can you make it without falling in and getting wet? Last Man Standing – are you going to end up flat on your back? Challenges – do you think it’s easy? Starry Sky – how many stars can you make before your next lesson? 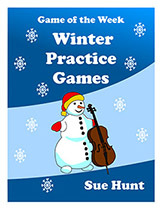 Remember, when you buy the Complete Collection of Seasonal Practice Games, you only pay for 3 and the 4th comes completely free $29.97. That’s less than 55 cents a week!